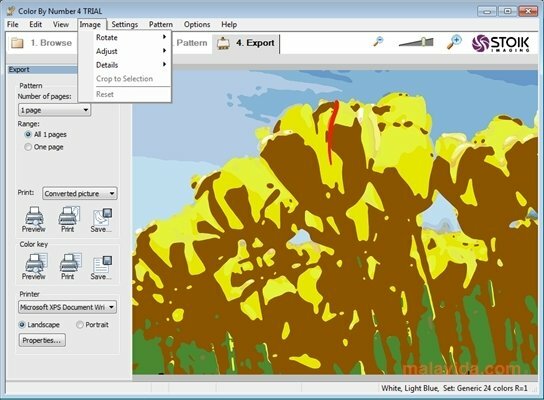 Color By Number is an interesting application with which you will be able to transform your photographs into surprising drawings, by means of technique known as paint by numbers. We are sure that when you were a child you had the chance to complete many drawings that were divided into sections with different numbers, and you had to paint each of them with a specific color. Color By Number will create a kind of image filter based on that technique. It is very easy-to-use and the application will guide you through the different steps that have to be followed. To start off, Color By Number has a browse by means of which you will be able to preview and choose the image that you want to modify. 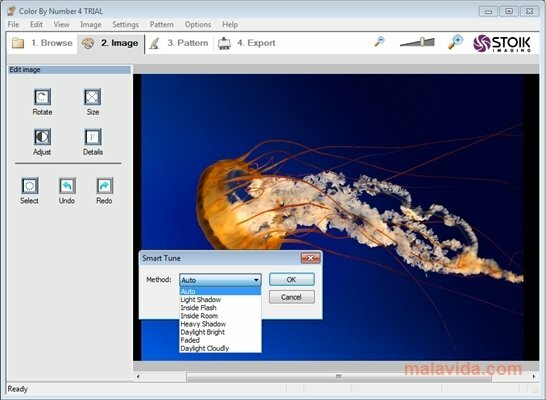 Afterwards you will be able to apply small enhancements and changes to the image, like adjusting the contrast, the size or rotate it. 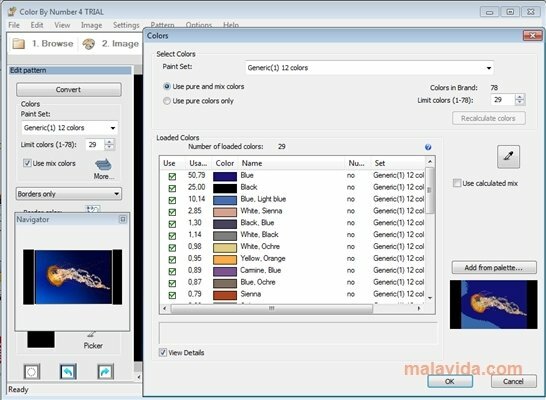 The following step will be to choose the range of colors that Color By Number will use to color in the image, with the possibility to choose the colors that you like most. Once you have decided everything, all you have to do is press the 'Convert' button, and Color By Number will transform the photograph in a color drawing in very little time. After that all you will have left to do is to print it or save it on your hard drive. 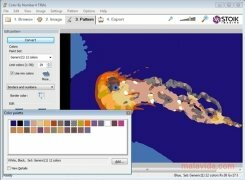 Create original portraits with Color By Number.